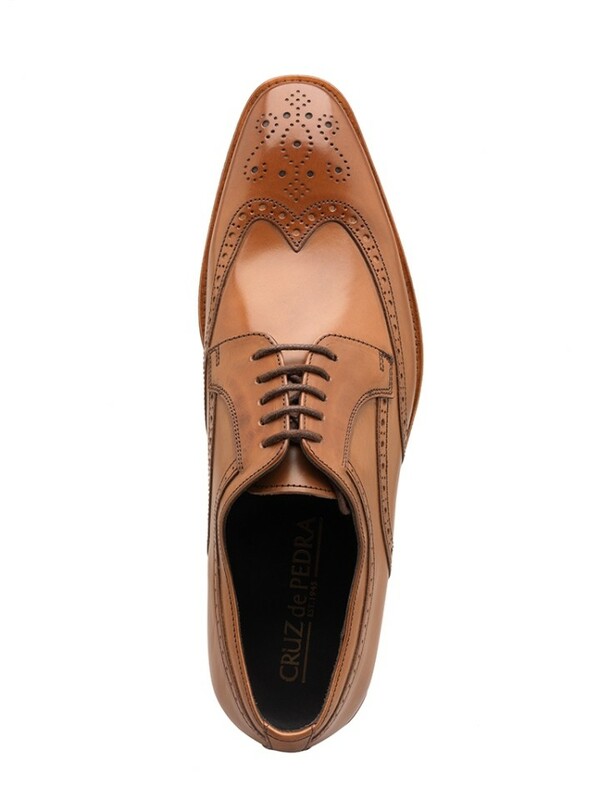 This shoe is the epitome of a Derby brogue. 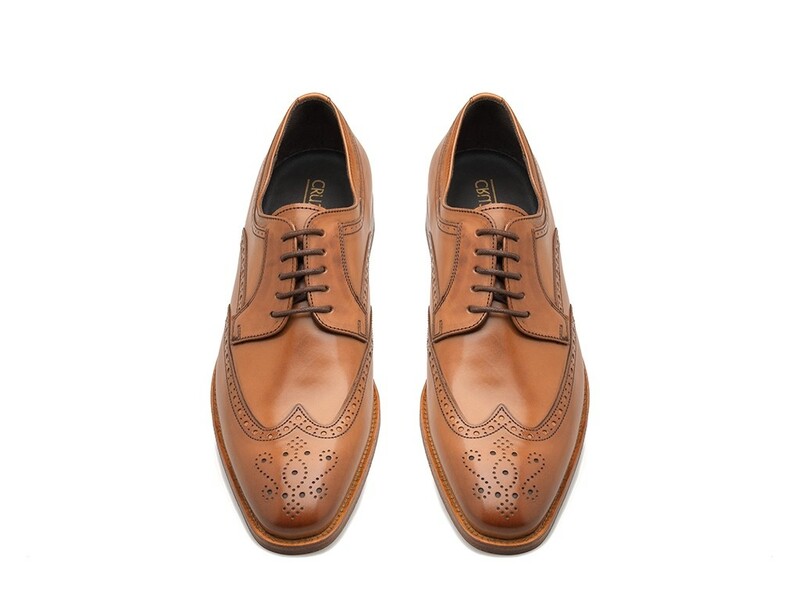 These lace-ups are handcrafted from specially selected tan calf leather with the traditional five eyelet lacing and finished with heritage wing-tip punched broguing. The luxurious finish is achieved by our artisanal shoe makers exclusive touch . Cruz de Pedra © 2018. All rights reserved. We use our own and third-party cookies to offer you a better experience and service. To know which cookies we use and how to disable them, read the cookies policy. By ignoring or closing this message, and unless you have disabled cookies, you agree to your use of this device.